Pilot Travel Centers LLC, doing business as Pilot Flying J, is a chain of truck stops in the United States and Canada. The company is based in Knoxville, Tennessee where Pilot Corporation, the majority owner, is based. The company is owned by Pilot and FJ Management Inc.. 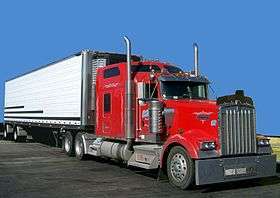 The company operates truck stops under the Pilot Travel Centers and Flying J Travel Plaza brands. Pilot Flying J was founded as Pilot Travel Centers on November 15, 1993 in a joint venture between Pilot Corporation and Marathon Petroleum Company. Immediately all Pilot Truck Stops were converted into Pilot Travel Centers. At its inception, the number of stops was around 60; however, that was to be short-lived. In the next few years, Pilot Travel Centers experienced significant growth. Marathon converted many Speedway truck stops, wholly owned by Marathon, over to the Pilot Travel Center moniker starting in mid-2002. Midway through 2003, another major expansion occurred with the purchase of the Williams Truck Stop chain. The Marathon-Pilot joint venture successfully increased the Pilot Travel Center name recognition throughout the United States, as the number of stops more than quadrupled. In 2008, Pilot bought out Marathon's interest in the business and entered into a new partnership arrangement with CVC Capital Partners, an international private equity firm. Pilot also has partnerships with Road Ranger and Town Pump. In October 2014, Pilot Flying J announced they would borrow funds to provide a $750 million dividend to shareholders and facilitate a buyout of its private-equity partner CVC Capital Partner. In 2015, the Haslam family completed the buyout of CVC Capital Partner's stake. A Pilot diesel fuel truck at a Flying J in Pasco, Florida. In July 2009, Pilot agreed to purchase Flying J's travel centers, as a part of Flying J's efforts to remove itself from Chapter 11 bankruptcy. The deal was finalized July 1, 2010, and the combined company took the d.b.a. name Pilot Flying J, while Pilot Travel Centers LLC remained the company's legal name. As part of the deal, both the Pilot and Flying J chains will keep their identities intact, while both chains started accepting the Comdata and Flying J's in-house TCH fuel cards. In addition, Flying J received cash and equity in the new combined chain. Flying J's oil & refining operations as well as its banking & insurance division will remain separate from the new company, and was subsequently renamed FJ Management Inc.
To settle antitrust concerns with the Federal Trade Commission, Pilot sold 20 Pilot Travel Centers locations and six Flying J locations to Love's Travel Stops & Country Stores on June 30, 2010. The merger left the combined company with over 550 locations in 44 U.S. states and six Canadian provinces. In 2011, Pilot Flying J began a partnership with Truckers Against Trafficking. On June 23, 2016, Pilot Flying J and Speedway announced a new joint venture between the two companies that will see 41 Speedway locations (all former Wilco Hess locations) and 79 Pilot Flying J locations primarily in the Southeastern United States form PFJ Southeast LLC. The locations will be operated by Pilot Flying J and the Speedway locations will be rebranded as either Pilot or Flying J. A Pilot Travel Center branded location in Lost Hills, California. Currently, Pilot Flying J is the largest purveyor of over-the-road diesel fuel in the United States. Pilot Flying J also is known as the largest Travel Center chain in the country with over 550 locations under the Pilot and Flying J brands. Pilot Flying J is also the third largest franchiser of quick service restaurants in the nation, offering one to three different concepts at each location, making it the largest franchisee of Subway in the world with over 200 locations. Unlike many travel centers and truck stops, the majority of locations with the Pilot Travel Centers brand do not utilize full-service dining. However, the Flying J brand does utilize full-service dining with Denny's, as do a small handful of Pilot-branded locations. Pilot Flying J's main restaurants include Arby's, Chester's Chicken, Dairy Queen, Denny's, McDonald's, Pizza Hut, Subway, Taco Bell, Wendy's, and Cinnabon. Recently they have been adding Huddle House (full-service restaurants) and Moe's Southwest Grill in their locations. They also have one or two location deals with several other restaurants. In New York and New Hampshire, some locations have a Dunkin Donuts shop. Pilot Flying J's main competitors include TravelCenters of America, Love's Travel Stops, Stuckey's, Roady's Truck Stops, and T/A-owned Petro Stopping Centers. In 2012, the company signed country music singer Trace Adkins to become its new spokesperson for its relaunched loyalty program. In addition to Adkins, the company has a NASCAR sponsorship with HScott Motorsports driver Michael Annett as the primary sponsor for Annett's number 46 Chevrolet SS in NASCAR's Sprint Cup Series; in 2014 the company sponsored Annett in the number 7 Chevrolet SS for Tommy Baldwin Racing. In 2013, the company sponsored Annett in the Richard Petty Motorsports number 43 Ford Mustang in NASCAR's Nationwide Series. In 2016, the company was the title sponsor for the "Battle at Bristol" at Bristol Motor Speedway. Pilot Travel Centers former logo. Lounges with big-screen televisions for professional drivers. Diesel pumps at a Flying J branded location. At some locations, Pilot Flying J offers truck maintenance through garages operated by third-party companies. Wingfoot Truck Care Centers, operated by the Goodyear Tire & Rubber Company, provide 24-hour road service, preventative maintenance, tire service, part replacement, oil changes, and light mechanical work. In addition to Wingfoot, Pilot Flying J also has Bosselman Boss Shop garages operated by Bosselman that provide similar services as Wingfoot. The Boss Shop partnership expanded as part of an agreement for Pilot Flying J to acquire most of Bosselman's truck stops in November 2011 in order to boost Pilot Flying J's presence in the Northern Great Plains region. Before the deal, Bosselman bought diesel fuel from Pilot and continues to do so for its remaining travel center location in Grand Island, Nebraska. In 2005, Pilot Flying J joined forces with Victory 500 marketing to publish Challenge magazine, a magazine aimed at professional truckers and sold exclusively at Pilot Flying J travel centers as well as by subscription. The magazine ceased publication after 110 issues in December 2014. On April 15, 2013, the headquarters of Pilot Flying J, located in Knoxville, Tennessee, was raided by FBI and IRS agents as part of an "ongoing investigation". 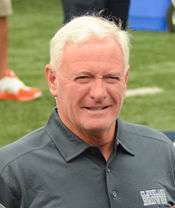 On April 16, CEO Jimmy Haslam reported the investigation involved claims of failure to pay rebates to trucking customers. On April 18, 2013, an affidavit used to secure various search warrants was made public. The documents alleged that several members of the Pilot Flying J sales force, as well as company president Mark Hazelwood, were either involved or aware of the alleged scheme. Three sales employees' private homes were also raided as part of the investigation. On Tuesday, July 16, 2013, a federal judge in Arkansas granted preliminary approval to a proposed settlement agreement between Pilot Flying J and several trucking companies that had sued over allegations of fuel rebate fraud. Pilot Flying J paid restitution to customers and agreed to pay a $92 million penalty pursuant to a Criminal Enforcement Agreement. 1 2 "Pilot Flying J". Pilot Flying J. 2012-07-11. Retrieved 2013-04-20. ↑ Simon Clark, "Pilot Flying J’s Haslam Buys CVC Capital’s Stake in Truck Stop Operator," Wall Street Journal, 16 October 2015. ↑ Duncan Mansfield (2009-07-14). "Pilot to acquire Flying J's 250 travel centers". Utah Daily Herald. Associated Press. Retrieved 2016-02-15. ↑ Archived August 28, 2010, at the Wayback Machine. ↑ Pomerleau, Charlie. "Merger official today for two companies". Standard-Examiner. Retrieved 2011-07-26. ↑ FJ Management website. Accessed: 15 February 2016. ↑ "Pilot, Flying J Finalize Merger". Convenience Store News. 2010-07-01. Retrieved 2011-07-26. ↑ Complete Locations, Pilot Flying J website. Accessed: 15 February 2016. ↑ "Pilot Flying J Supports Truckers Against Trafficking". Convenience Store News. November 7, 2011. Retrieved September 7, 2013. ↑ "Latest Pilot, Speedway JV Builds On History," CSP, 23 June 2016. ↑ "Pilot Flying J". Pilot Flying J. 2012-02-17. Retrieved 2013-04-20. ↑ Pearce, Al (November 15, 2013). "Michael Annett to replace Dave Blaney in Tommy Baldwin Racing's NASCAR Cup seat in 2014". Autoweek. Retrieved 2013-11-15. ↑ "Annett claims another solid finish at Fontana | News". Motorsport.com. 2012-03-25. Retrieved 2013-04-20. ↑ "Pilot Flying J partners with Bristol Motor Speedway as title sponsor for 2016 Battle at Bristol". pilotflyingj.com. Knoxville, Tennessee: Pilot Flying J. November 24, 2015. Retrieved November 24, 2015. ↑ "Pilot Flying J - Amenities". Pilottravelcenters.com. Retrieved 2011-07-26. ↑ "Pilot Flying J Acquiring seven travel centers from Bosselman". Cspnet.com. Retrieved 2013-04-20. ↑ "Pilot Flying J CEO Jimmy Haslam: Raid Part of Criminal Investigation into Rebates to Trucking Customers," Knoxville News Sentinel, 16 April 2013. Retrieved: 16 April 2013. ↑ Flory, Josh (April 18, 2013). "FBI: Pilot engaged in fraud". Knoxville News Sentinel. Retrieved April 18, 2013. ↑ Gervin, Cari Wade (April 24, 2013). "The Case Against Pilot: Behind the Accusations of Fraud at Pilot Flying J". Metro Pulse. Knoxville, Tennessee: E. W. Scripps Company. Archived from the original on June 29, 2013. Retrieved December 22, 2013. ↑ Witt, Gerald (April 18, 2013). "Three private homes raided under Pilot warrant". Knoxville News Sentinel. Retrieved April 18, 2013. ↑ Flory, Josh. "Judge OKs Pilot Flying J, truckers agreement on fuel rebate fraud lawsuits". Knoxville News Sentinel. Retrieved 16 July 2013. ↑ Ellen Myers, "Browns owner Jimmy Haslam's truck stop chain will pay $92 million fraud fine", The Christian Science Monitor, July 15, 2014.